KQED/NPR CA Report Radio, CBS Miami Healthwatch 5pm News, Yogiviews Cable TV, Albuquerque Journal, Good Morning Sacramento, NM News, LA Yoga Magazine, Marin Magazine, Women's World, Alzheimer's Speaks Radio, Body Wisdom with Dr. Michelle Summers podcast and Inquire Within Podcast. Stacie is known for bringing a wealth of knowledge to her classes. 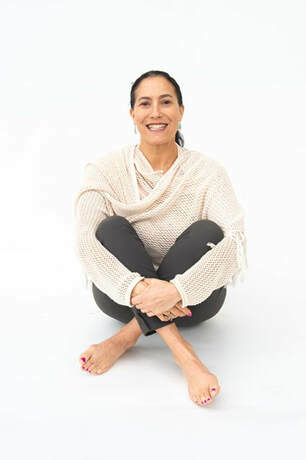 Born into a vegetarian family and taken to ashrams since birth, she is living the yogic lifestyle and sharing it's benefits with others. Currently she is teaching Chair Yoga for seniors, at a cardiology office, for an Alzheimer's research study and at Bay Area companies.